You must be a member of the Houston Speaks Italian Group to attend this activity. Would you like to join this group? Join us Italian and Spanish lovers and live it up into the night at Belvedere's Latin Thursday! 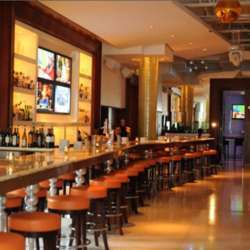 Enjoy the hottest spot for all social moods in Houston, the perfect place and moment to meet up with friends or make a few ones. To register for this event just click the "Accept Invitation" button. Please feel free to bring your friends and encourage them to visit our website and become an InterNations member just like you! Live the spirit of connecting global minds and have a delightful time. Raquel, Consul of the Spanish Group, and I, Consul of the Italian Group, look forward to seeing you Thursday, January 31 from 21:00 a.m. to 23:00 p.m. to create some new and great memories together.